There’s only one way to keep your laminate floors clean that’s both easy and effective. You have to get the best vacuum for laminate floors that you can find. To help you figure out which one is the best for you, we researched some of the best-known brands and top-selling items. Then, we put together this vacuum buying guide to help you see what’s what. Before we get started, let’s take a look at some of the key features you need to know. Type: There are a few different types of vacuums here: upright, stick, canister, and one robot that we thought was pretty awesome. This boils down to personal preference and if you want to use your vacuum for other surfaces. Bagless: You’ll be happy to know all of our picks are bagless. The dirt cups and canisters on these vacuums vary widely in size. No matter how small they are, it’s still worth it for not having a deal with a bag. Power: Most of our picks are corded. What we like most about them is that most come with a long cord which makes it easy to travel from room to room. If you prefer a battery-powered, cordless option, don’t worry! We have those, too. Pieces: Some of these include some nice accessories but what you need depends what you’re using the vacuum for. Laminate floors only? Or do you also want a hand held that you can use to clean your car? Weight: You’re going to be pushing most of these around but weight is particularly important when it comes to vacuums that convert into handhelds. You’ll be lifting them up a lot more so make sure it’s light enough so you’re comfortable. Warranty: The warranties for these products range anywhere from 1 to 5 years. It’s important to have a good warranty with something like a vacuum that has a motor and a bunch of moving parts. You won’t regret it. Now that we’ve covered the top features, let’s get into our laminate floor vacuum reviews. Here’s how it works. We put our top and budget picks right at this top of the list. This is a great place to start, especially if you’re in a hurry and can’t stick around for all of these items. If you can, though, you're going to like what you see! All of these products are pretty awesome. Now, let’s get right into it. Let’s go! The best vacuum for vinyl floors that we came across in our research is the Shark Navigator Lift-Away. What did we like most about it? That it’s so easy to use. All you have to do it press a button and you can lift away the canister which makes it really easy to get even hard to reach places really clean. You can use this on carpet, too, and don’t worry. Going from carpet to laminate is super easy, you just have to push a button to turn the rotating brush off. Add a washable microfiber pad and you’ll be able to pick up large debris and fine particles even easier. This is a great one for anyone worried about allergies, too. The HEPA filter and complete seal technology traps 99.9% of allergens and dust inside the vacuum. For a cheap vacuum for laminate floors that will still leave your floors looking fabulous, check out the Dirt Devil Power Air. 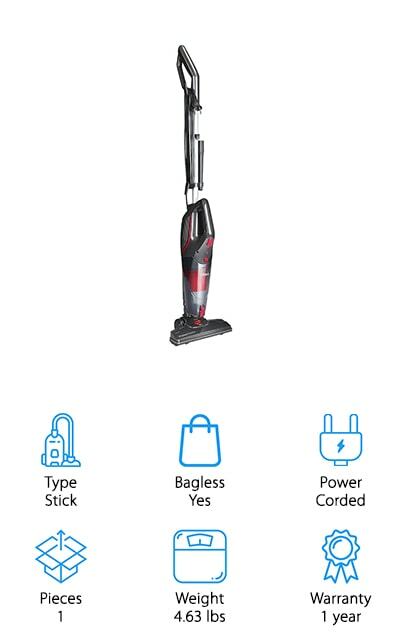 It’s a lightweight stick vacuum that maneuvers really easily from room to room. We really liked how effective the cyclonic filtration was. The constant, powerful suction really helps cut through the dirt and the 11 inch wide cleaning path means you can do it all in fewer passes. That’s not all, the low-profile nozzle helps make it a little easier to get underneath furniture. When you’re done, emptying this vacuum is easy. At the touch of a button, the dirt cup opens and you can easily dump the dirt right in the garbage can. The power cord is 20 feet long so that you don’t have to constantly unplug and move from outlet to outlet. One of the things you’ll figure out when learning how to vacuum laminate is that getting into tight corners and spaces can be tough. That’s one reason why we like the BISSELL PowerEdge Vacuum. You can get into small places without even needing an attachment. How does it work? It’s all about the shape. The V-shaped of the swivel head has wipers that are made of hair-attracting rubber material. IT works so well because it directs all the dirt it comes in contact with directly toward the center suction. You can easily get around furniture legs, under cabinet edges, and even use it on low pile area rugs while you’re cleaning your laminate floors. Plus, it’s insanely effective at cleaning baseboards. One more thing, the dirt cup is really easy to empty. Bonus: there’s no messy bag to worry about. 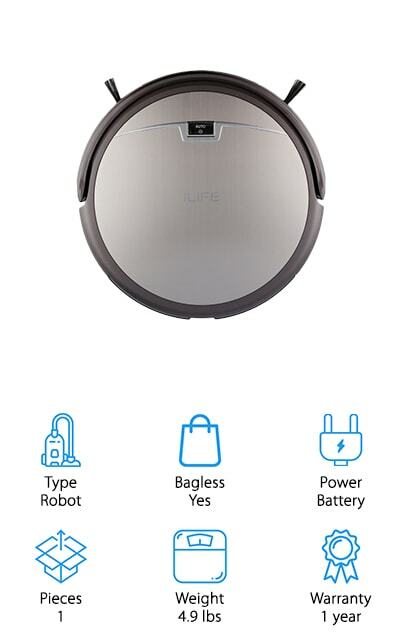 If you’d prefer a robot vacuum cleaner for laminate floors, you’re in luck because the ILIFE A4s Robot Vacuum is up next in our reviews. It’s one of the most convenient vacuums you can use because it pretty much does all of the work for you. It’s equipped with multiple sensors that prevent it from bumping into anything or falling down the stairs. Plus, it easily can get all way under large pieces of furniture that you just couldn’t do on your own. Get this: the battery lasts up to 140 minutes which is a lot of time for continuous cleaning! And here’s the kicker: you can even preset a cleaning schedule. Imagine waking up to clean kitchen floors or coming home from work at the end of the day to a freshly vacuumed entryway. The coolest thing about the Eureka Blaze is that it’s 3 vacuums in one: a stick vacuum, stair vacuum, and a hand held. And here’s the best part: it weighs just about 4 pounds and it incredibly easy to carry around. Swivel steering helps you maneuver through tight spots which makes your job much more efficient. For larger debris, use the special capture nozzle to avoid merely pushing the dirt around. The power cord is 18 feet long so you don’t have to keep moving from one outlet to another. And listen to this, there’s even a washable filtration system that helps keep dirt inside the vacuum and improves the quality of the air. There’s more, you don’t have to empty the extra-large dust cup as often, letting you get the job done faster. 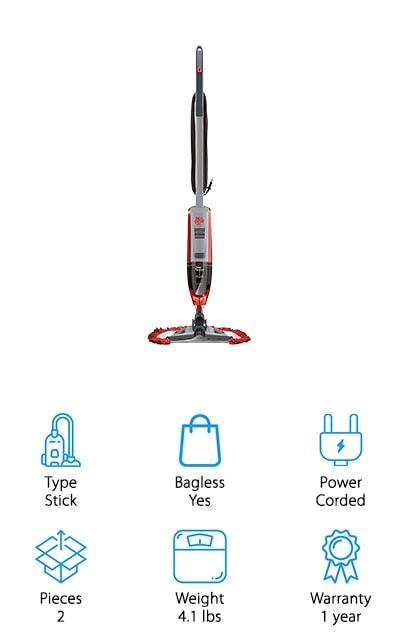 If you prefer an upright vacuum, the Dibea CO1 Vacuum is a great choice and a best laminate floor vacuum for sale that gives you the best of both worlds. What do we mean? 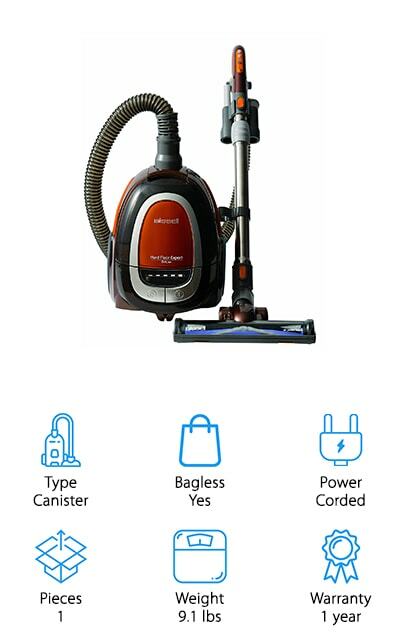 This machine functions like a typical upright vacuum, but it’s much more convenient since it’s cordless and bagless. It uses a rechargeable lithium ion battery that provides up to 40 minutes of suction without fading. 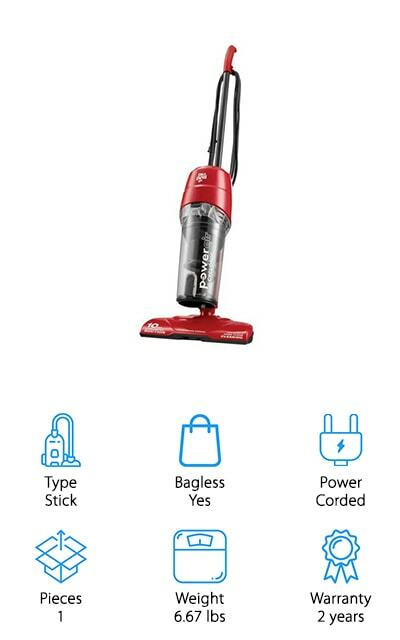 And get this, it also converts to a powerful handheld so you can use it to clean upholstery, stairs, or even your car using the special crevice tool. Swivel steering helps you get close to furniture and move from room to room quickly and easily. The dirt cup is pretty big and empties using a simple slider button. Another convenience? You can use it on carpeted floors as well as laminates. The ultra-light Shark Rocket Vacuum weighs less than 8 pounds and is tremendously versatile. Not only is it perfect for laminates, but it also comes in handy for floor-to-ceiling cleaning. If you want to use it on your carpeting, the 2-speed brush roll will ground-in dirt and even more delicate rugs. When you’re ready to clean your hard flooring, use the hard floor attachment with the washable microfiber pad to get both large and fine debris. Plus, it converts to a convenient hand held vacuum that you can use just about anywhere. And that’s not all. There are so many accessories included that you really will be able to clean just about anything. You get a dusting brush, crevice tool, accessory bad, hard floor attachment, and even a car detail kit. Here’s the kicker: it comes with a 5-year warranty. We really like that the Dirt Devil Bagless Vacuum so easily gets your baseboards clean. How does it work? The washable microfiber pad has flexible edges that get your baseboards clean while the bottom does the floors. And get this, because there is even suction from end to end, you’ll be able to clean up everything in your path. The cord is an impressive 22 feet long so that you can move between rooms without having to keep unplugging. Not only is this a great choice for your laminate, it’s also just as effective on wood, tile, and more. 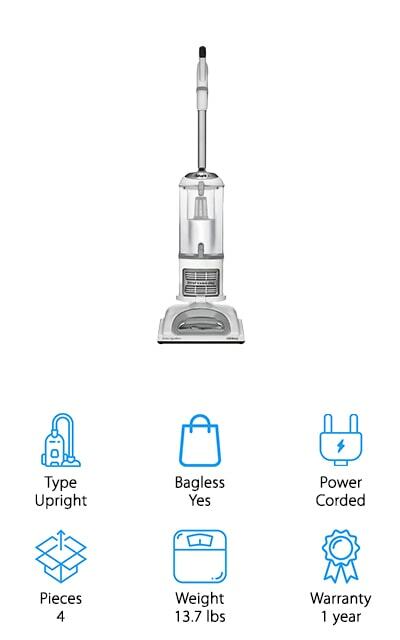 This vacuum was specially made for hard floors so there’s no spinning carpet brush to worry about like on some models. Basically, it’s really good at what it was meant to do. Your laminate floors will thank you. 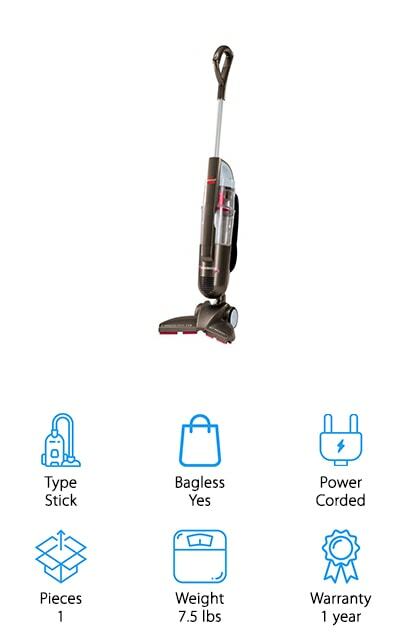 The BISSELL Hard Floor Vacuum is delicate enough that it won’t damage your floors but still super powerful. The non-marking rubber wheels have felt treads and glide smoothly over your floors. Because it’s a canister vacuum, it’s much easier for you to get under furniture than it would be with an upright or even some stick vacuums. If you want to use this one to clean more delicate surfaces, don’t worry! The canister is lightweight and easy to move around. And get this, you can even control the suction power when you need to clean area rugs or even your curtains. The dirt tank is big and easy to empty. In all, you get a lot of accessories with this one. It comes with a head for laminate and hardwood floors, a head for carpets, a crevice tool, and a brush. Last up in our reviews is the Dibea Stick Vacuum. You have to check out this 2-in-1 stick vacuum. 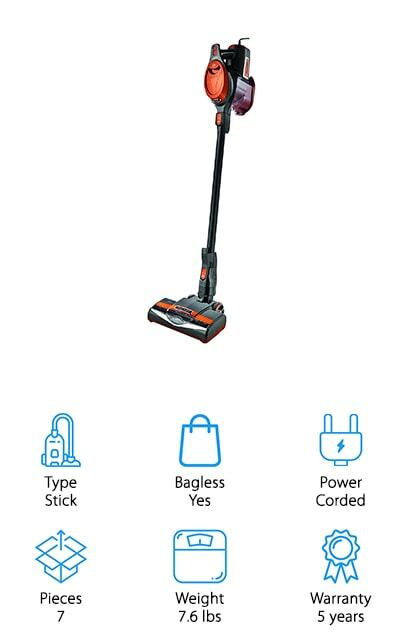 It’s a stick vacuum and a hand held that’s powerful enough to clean just about any hard surface. One thing that really stands out about it is the large 1 liter dirt cup. The power cord is just under 20 feet long so you won’t have to unplug as much when you’re going from room to room. 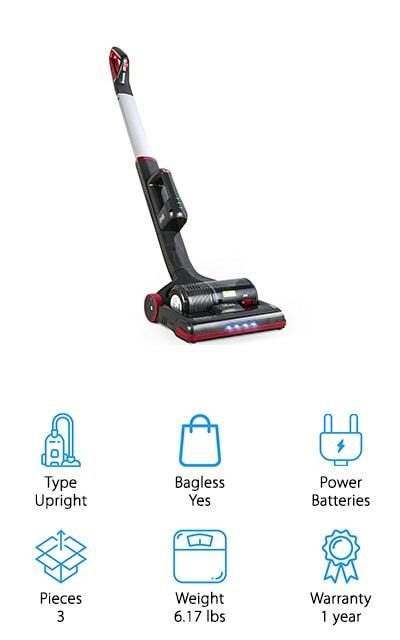 If you have pets and children, this vacuum is a really awesome choice. The cyclone HEPA filtration system prevents dust, dander, and bacteria from recirculating. It’s perfect for anyone who suffers from allergies. That’s not all. It’s easy to steer around furniture and it even has an LED light on the front so you can see what you missed in dark, unseen areas.